Now Leaving the 3rd Dimension. 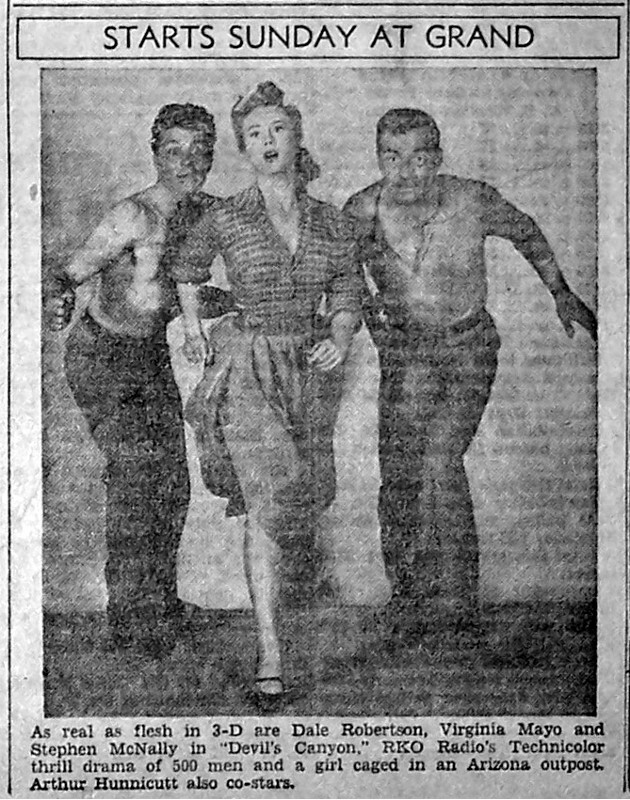 This mystery midnight horror show, which ran in late April, 1954, was, for all intents and purposes, despite a few stragglers and sequels, was the last 3-D feature to screen in the Island. I’ve yet been able to identify it properly, but my best guess is that it’s Warner Bros.’ Phantom of the Rue Morgue. 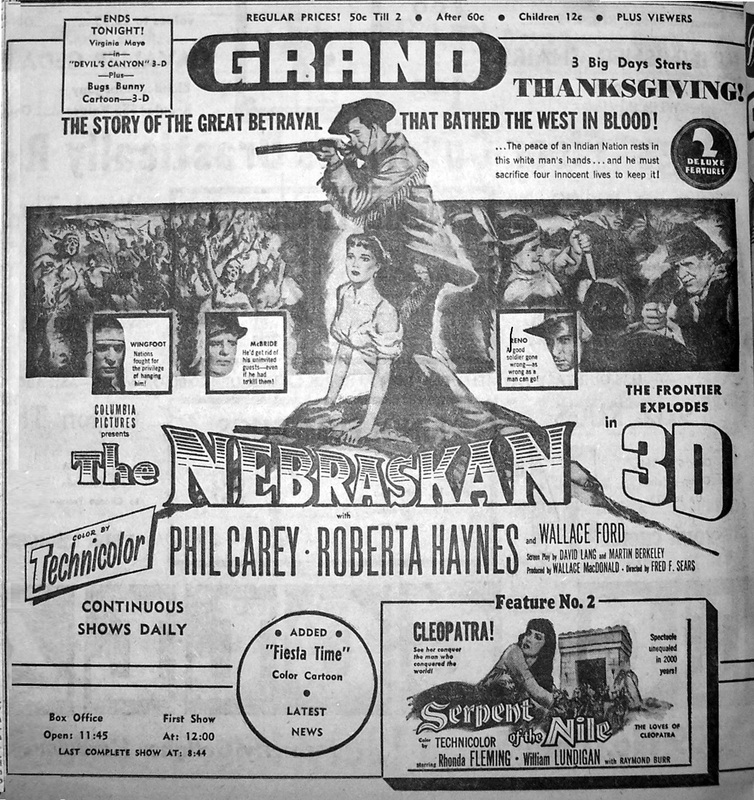 That makes it an even 20 features shown in the short-lived 3-D film movement of the 1950’s, which may not seem like a lot but more than I had expected to find because there were a lot of 3-D films that only played flat here in the hinterlands, including Kiss Me Kate, Those Redheads from Seattle, Dial M for Murder, Dragonfly Squadron, Taza: Son of Cochise, and The Moonlighter. 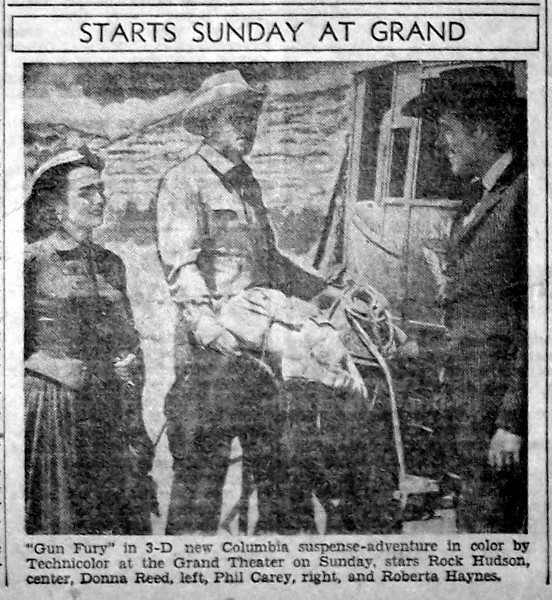 And the reason for that, I think, is because until the Capitol showed Creature from the Black Lagoon only one of the three theaters had converted and were able to show stereo-scopic films properly. 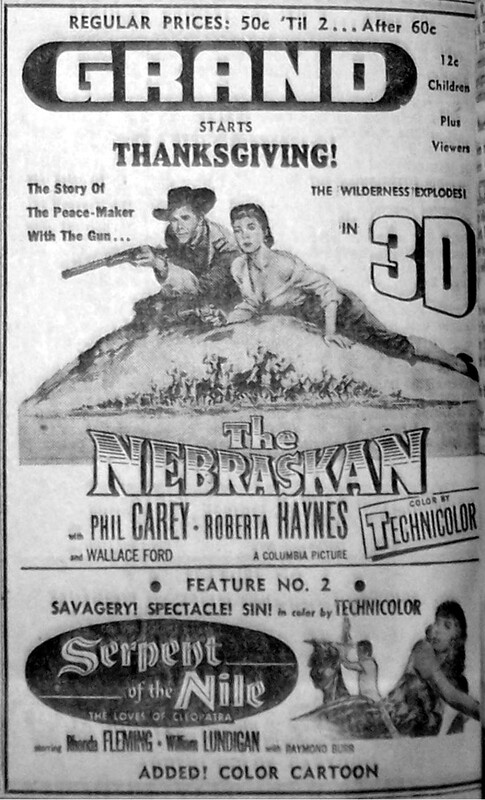 And when combining these technical issues, along with a non-standardized format, meaning every studio had their own 3-D process, and the advent of the more user friendly Cinemascope, easily explains why 3-D flattened out so quickly, not quite making it yearlong phenomenon. If you’d like to know more about the successes and failings of 3-D I highly recommend Kevin Heffernan’s Ghouls, Gimmicks and Gold: Horror Films and the Movie Business and R. M. Hayes’ 3-D Movies: A History and Filmography of Stereoscopic Cinema. 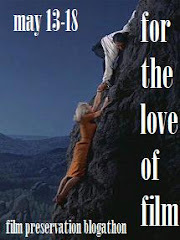 And that’ll wrap up our month long tribute to 3-D films. Hope you enjoyed ’em as much I enjoyed unearthing them. Also of note, I’ve got a couple of other projects that’ve been on the back-burner for too long, meaning the Morgue will be on hiatus for awhile, but updates should resume in a couple of weeks. Until then, stay cool, Boils and Ghouls. As the legend goes, it was while working for Orson Wells, back in the Mercury Theater days, that producer William Alland first heard the tales of a legendary fish-man that lived somewhere way upstream in the backwaters of the Amazon river. And these tales, told by famed Mexican cinematographer Gabriel Figueroa, eventually germinated into one of the most iconic cinematic monsters ever conceived and executed on film. And though it’s usually one of the first things that come to mind while thinking about 3-D pictures, but truthfully, Creature from the Black Lagoon was one of the last big features to use the already rapidly waning process. I’ve been lucky enough to see a 3-D print of both Creature and its sequel, Revenge of the Creature, and the differences between seeing them flat and seeing them topographical is like the difference between how long Ben Chapman and Riccou Browning can hold their breath underwater. And now, with advances in home video technology, we all can see the Gill-Man unrequited quest for love in all it’s Stereo-Scopic glory! 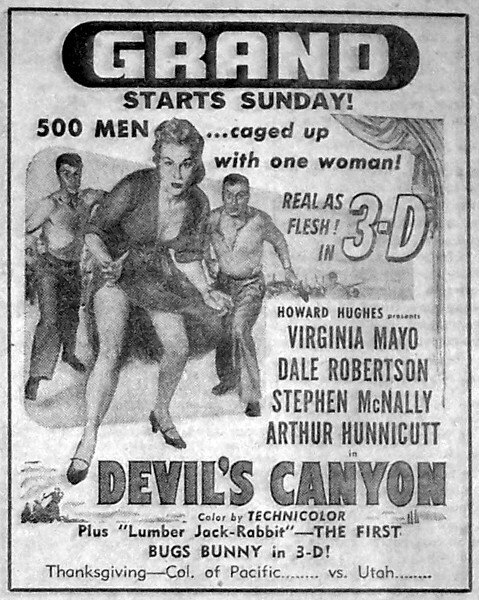 And after a glut of 3-D releases in late 1953, it wasn’t until March of 1954 before the Island saw another 3-D release hit the Grand. 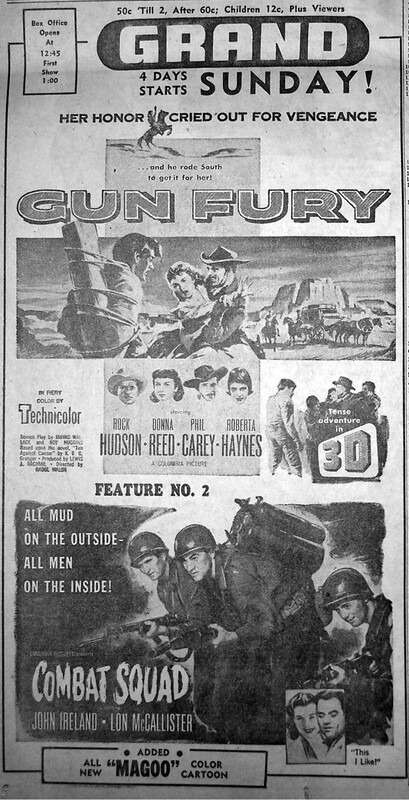 And with the advent of the more user friendly Cinemascope, the writing was already on the wall for Stereo-Scopic films, especially when you consider that last ad, where the theater dumped the gimmick, despite the ballyhoo’d new and improved glasses, to polish off the run after the weekend.